Snapleash comes in two sizes: 6′ by 1″ and 6′ by 5/8″; and three colors: red, blue, and black. We received a red leash in the larger size. I immediately wanted to try out the hands free feature. I’ve been wanting a hands free leash but just never got around to getting one to try. Using the grommets I wrapped and secured the leash around my waist and Cricket and I went out for a jog. It fits easily and comfortably around my waist. I couldn’t have been more pleased! Even when we slowed to a walk, Cricket walked better than ever on this….I think my weight distribution helped to control her pulling more. Instead of ignoring me when she got to the end of her tension, she turned and looked at me. That was an unexpected benefit for me, but I was really just pleased with the fact that I could have my hands free. I have a lot of pain in my hands from trigger fingers, and not having to grip a leash all the time is wonderful for me. When I wanted more control, I easily removed it from my waist and made a handle for regular walking. Just a quick note on the hands free feature: I am only using that with Cricket at this point. Both Sheba and Luke are a bit unpredictable when walking, and I don’t feel safe using that feature with them. If you have a larger dog, you might want to be sure your dog is a good walker and not prone to unexpected maneuvers. Making the leash shorter is a snap (pun intended)! We run and walk in different places in our neighborhood and it sometimes involves walking on the road. We don’t have a lot of traffic on our street, but enough that I want to be sure the dogs are close by me when walking along, and all I had to do was make a bigger loop, thereby shortening the leash and keeping Cricket right next to me! Even if you don’t want to walk/run hands free, that feature can still come in handy if you just need your hands available for short spells. You can stop and tether your dog to any object, knowing they are secure. (Please do not leave your dog unattended when tethering.) Maybe you want to take a photo, need to tie your shoe, or in my case, I blow my nose a lot, especially in the winter! It’s much easier to do these things if you can have both hands available, even if just for a minute or two. Easy tethering to any stationary object, and you can give them a little or a lot of length to move. What do we love most about this? I just love the versatility of it, the fact that you can use it in many different ways on one walk or run. The quality seems excellent….when trying it with Luke he had to try chewing it (we’re working on that) and I didn’t see any damage to it from that. I even found a way to tether two dogs together using another leash. I plan to get another one to make this even easier! The grommets really make it easy to adjust the lengths as needed. SnapLeash is also looking into making longer lengths, possibly 8 or 10 feet. Since we live in a rural area, we are often on trails where I like to give the dogs a little more length so they can roam, smell, and explore. I think this will be great, and with the option always there to make it shorter, you can’t go wrong! 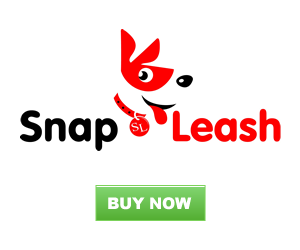 To learn more about SnapLeash, you may visit their website or Facebook page, or follow them on Twitter. 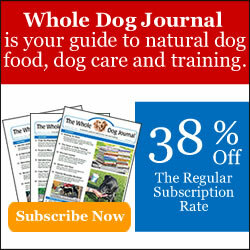 The company has generously agreed to give away one leash to one of our readers! You can choose the size and color you would like. To enter, just fill out the rafflecopter at the end of this post. The contest will be open until next Friday, September 12 at 11:59pm EST. *Update: Contest is open to USA residents only, with apologies to our Canadian and overseas friends. * Good luck to everyone! Don’t want to wait? Click on the link below to order one now….they are currently on sale. Disclaimer: We received one SnapLeash free of charge to try out and review. We were not compensated in any other way. All opinions in this review are my own. I am in an affiliate program with the company, therefore if you order through the link above I may receive a commission. When we are not walking and just hanging out, it would be much easier to sit under a tree and read if the dogs were secured to something like a tree or bench leg rather than my hand. They want to explore and their tugging won’t bother me. I don’t think I will try the hands free option with them. They, too, can be a bit unpredictable. It will be perfect for securing them so you can relax a bit more while reading! The grommets really are convenient in so many ways! I like that you can tether your dog to something quickly and easily and not have to take off the leash to do it. That is also one of the most popular features I think. I have trouble with my hands as I said and I still had no difficulties doing it. What a great review, I like the part that you could walk to dogs with it. I like the blue color too. Thank you! I think that is the favorite feature of it so far. The blue is pretty, isn’t it? I think the next one we get will be the blue! We have lots of things in blues and reds so it’s perfect colors for us. This seems like a really great idea! We sit outside at sports games or just hanging out and it would be nice to have an easy way to keep the dogs put! This would be just perfect for that situation!! We really like the SnapLeash. It is a great product! We enjoyed your review as well! I think this is very cool! Actually, I find myself tethering Shiner to things a lot with her leash pretty often for photos and even outdoor baths. This requires a bit of ninja skills because i have to quickly remove her leash wrap loop the handle around something and then snap it back on. Sounds like it would come in handy! It is SO easy to snap and unsnap. It would be perfect for tethering Shiner. I ordered another one as I use it all the time. Just love them! I am just trying to decide if I want to wait until they make the longer one, but we’ll definitely be getting another as well. It didn’t take me long to realize hands free was a bad idea with Luke….he still has a lot to learn when it comes to walking nicely! Sheba just tends to weave all over the place, and it might not be good if I wasn’t paying attention. But I can see ways now that maybe I can finally now walk at least two, maybe even all 3 at a time. Wow, I love the versatility of this leash – what a great idea! It really is clever, and definitely serves a need. I really love this leash. I have a small coupler that would let me leash Sampson and Delilah both up to one leash, but I haven’t been able to find the extensions. This leash would be perfect for that. It really would! After using it a few times I started to learn more and different ways it could be used. how cool is this!!!! Great review, and when you do find out if it’s open to Canada too, please let me know, I would love to enter! I will definitely let you know, Jenna! I feel bad I forgot to check ahead of time, but wanted to get the post up. I’ll be in touch!